Madeleine’s Message to Oprah, but remember, it’s not just celebrities who care!!! Please help us share this compelling video – it is a message from Madeleine Pickens to Oprah, who could be instrumental in exposing the silent war against the innocent wild horses in the West. We must network this, as it is a strong message that needs to be heard by all Americans. This nation was built on horseback. The mustangs have played a crucial role to which we owe much gratitude and respect. In the agenda of profit-driven, special interests-driven “management” by BLM – the deception and betrayal to the mustangs and us the people who sponsor this tax funded cruel extinction, Americans must take a stand to the destruction taking place before our very eyes now. Freedom must be defended – and the illegal eviction of our wild horses and burros stopped now. Oprah help us. The brutalizing against mustangs and burros by BLM is a threat not only to the equines – but to us all. Our future generations have a right to this integral part of our historic icons and it must be protected at all costs. Please do your part. Time is of the essence, as the BLM is planning the continued relentless eviction of these protected legacies – silent, covert operations carried out with an un-American menace and cruelty that needs your help in being exposed. The new “Forest Planning Rule for the National Forest Management Act” lays out a framework through which the U.S. Forest Service (FS) will develop management plans for 155 national forests and 20 grasslands nationwide, comprising 193 million acres in 42 states—all belonging to the American people. Oprah has never given a damn about the wild horses. I wouldn’t waste my breath on media puppets. You’re right, Oprah doesn’t care about the horses. So what the hell does anyone think she will do? Can’t stand her or her show. for him and the pilot. The images of those poor other animals hurt and dead are just too shocking for words – how do these “people” sleep at night? I know what you’re saying. It isn’t the first time I’ve seen that clip. And every time I do I want to give that guy a yank in the privates and let him have an idea of how it feels. He epitomes a “real” cow’s rear end! And here I thought I’ve known a few. Nope he takes the cow’s rear end award! I hope she will care enough to say something or do something. There is one major problem. She helped Obama get in the position he is now and is friends with the White House. I wonder if there will be a line between conscious and alliance? Evidently, Obama does not have this kind of backbone! I do not think that you can put this on President Obama.. The BLM’s mode of operation to allow cattle ranches the best grazing rights, oil and gas drilling preferred status, and money, money, money talking was established well before January 2009, If you think this is new with this administration, check some BLM history. I watched Oprah yesterday and Ralph Lauren was her guest or I should say she was his guest at his ranch in Colorado. I was completely blown away by the ranch and all of its ammenities! He has horses, cattle and other critters. He is quite the cowboy despite his age. After watching him with his horses it got me to thinking about contacting him to see what we can do to get him to support our efforts to save our Wild Ones. Great idea. He certainly would be a wonderful spokesman, also.. everyone doing all they can will reverse this crisis. Lauren used to play polo…don’t know about now, but he sure has a slew of peddled products with that name/logo. My point? Alot of polo players DO use mustangs as mounts. As to Oprah, her show ends in a few days (it’s been a real memory lane gush fest). Just exactly where is she supposed to “help”? Granted she has her own network, but she has been ignoring our pleas for at least three years now when she had a show. And the Obama connection speaks for it’s self….nothing but silence from the White House and screams of death and pain from our mustangs and burros. But good luck Ms. Pickens. GO for it! I hope something positive will be done for our noble mustangs and burros. IF THIS DOESN’T MAKE YOU MAD AT WHAT THEY ARE DOING, I DON’T KNOW WHAT WILL. I POSTED IT TO MY FACEBOOK AND ONLY WISH I WERE A MILLIONAIRE! I can’t even see throught my tears to type this post. THIS B.S. HAS TO STOP, EVEN IF IT MEANS volunteers taking turns and getting between the BLM wranglers and the horses. How can anyone call this humane? Helicopters running down dead exausted horses then knocking them down! ENOUGH!!!!!!!!!!!!!!!!!! I do not think that you can put this on President Obama.. The BLM’s mode of operation to allow cattle ranches the best grazing rights, oil and gas drilling preferred status, and money, money, money talking was established well before January 2009, If you think this is new with this administration, check some BLM history. Many of the “warehoused horses” have been in holding pens longer that two years! And in Nevada, we are fighting the Republican dominated Government. If you try to make this a political party fighting point…the horses will lose. The BLM is a bureaucracy. It is an organization that is in bed with the associations that it is supposed to oversee. (Remember the MMS and the lack of oversight of the offshore oil wells? Both under the Secretary of the Interior..Ken Salazar. friend to Republicans and Democrats.) We must all work together to get the attention from him to fix this crisis for the horses…And we need EVERYOME. Sorry, Paula….I DO put this on President Obama. It is Salazar that begs for the money, rounds them up, warehouses them in dirt holes, makes them disappear, can’t count and denies advocates access. .Third in line? Senator Reid who makes sure the money is appropriated and proequine legislation (wild or domestic) never sees the light of day. All Democrats and two of the three have been whacking wild equines through lobbying and legislation for decades in their states (Colorado and Nevada) before, after and since the 1971 Act was signed. Gotta call it like I see it. The buck stops at the President’s desk…period! Does anything about the treatment of these beautiful American symbols seem right to you? they harm , no one. They live free , WHY? WHY KILL? this is wrong in so many ways.Did you Ever what God thinks of this? OK, so call me uninformed?, or something like that, I guess?? WHY the heck is everyone bashing Oprah!!?? How do “YOU” know she doesn’t care about America’s wild horses? Where did you get that info.?? Just because Obama, in all probability, doesn’t like or care about wild horses(or, ANY animal! ), does NOT mean Oprah feels the same!! I highly respect & admire her, & all she’s done for so many over the years! Did you know she happens to love her dogs? Did you know she stirred up a “can of worms” on the issue of the meat slaughter industry, &, on the options of becoming vegetarian or even vegan? On that show in particular, she actually had one of her own reporters go into & tour a slaughterhouse!! Naturally, due to the graphic content, they did not show all the gory details, but, she brought it to NATIONAL ATTENTION! I’m sorry, but, when this lady speaks, people seem to listen, she IS what’s needed to bring the very real & urgent plight of America’s wild horses & burros to the attention of the American public. If she would interview Madeleine Pickens, & other well known horse advocates & experts, maybe the truth could finally be told, on national TV! If she ran for president, she’s getting my vote. She is an outstanding humanitarian, NO “comparison” to Obama. Oh, I have shared the message with her on her Facebook site, & pleaded with her to help in any way she can, which may be a little last minute, since she only has like 3 shows left, America SHOULD have thought of this sooner. Just my opinion. Don’t know to whom you are specifically speaking to within this thread/post, but I don’t see anyone here “bashing” Oprah. (1) the show on all access ends in a few days; what is she supposed to do and where? (I would have assumed the Pickens’ effort would either specify the type of help wanted[don’t come to me with a problem without having a solution for me] or that the show on national TV is ending basically within hours). (2) I know people have been in touch with production staff (with inside contacts) and got no where. Not sure? How many wild equine and/or horse slaughter shows has she done? Yeah…I know she is shell shocked from the meat industry law suit, BUT she WON (sort of)! (3) I know of folks(including myself) that have consistently contacted Ms. Winfrey with this issue, via email, blog posts and telephone……more NOTHING. (4) she has unique access to our President….the roundups are still funded and continue….AND? I understand that there may be negotiations behind the scene. What I see and what our equines experience is business as usual. Oprah IS starting a new network isn’t she? OWN…and it is broadcasting on most cable and satellite networks (has been for some months actually). Excuse me if I missed something … but did Oprah ever respond to Madeliene??? Not that I have heard as that would be a rather news worthy event. Grandma Gregg, this video has only been uploaded for six days… no idea if a response has been made from Oprah, but there have been well over 6,000 views of this impacting video since it was posted on YouTube on May 17, and this number will probably reach the 7,000 mark by the end of the day, today May 23. YES!!! Congratulations and many, many thanks to those involved in this project! 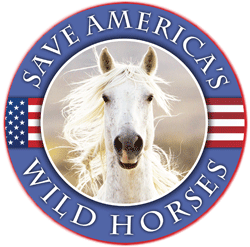 We must see and appreciate that it is not just Oprah, and not just celebrities who care for America’s horses, but the venue and the avenues it takes to bring awareness to this atrocity for our country’s wild horses and little burros! This is a commercial that keeps on giving and receiving hits and promoting awareness, utilizing the names of celebrities and the name of one of the biggest and most famous celebrities there are, whether she joins in this cause or not! The game plan is ingenious!!! And if it were accidental, it still is ingenious!! We all care more than anyone can ever imagine! But names are what is drawing the attention to this video along with our own promotions of it. Let’s keep up the most excellent work. Keep on spreading the messages of destruction being done by our government and the beautiful images of the last documented freedom and loveliness, the proud and glorious athleticism of our beautiful horses before their freedom, their families and their lives have been stomped on, invaded, disrupted and ended. Thanks to Madeleine Pickens and thanks to Stacie Daigle who wrote and directed this video. Thanks to all the photographers who captured these beautiful and then again, the contrastingly heartbreaking images of torment, capture, death and all that which is involved in these hideous roundups. Thanks to the musicians who wrote the music for this video: The Album Leaf, Band of Horses, Tristeza, and Foals. I may have gotten the titles and names confused, but the musical background accentuates and fully empowers the images themselves. This is a production worthy of a standing ovation and I am so hopeful that more attentiion will be forthcoming from this project and all the others that are working and are in progess…. we are all in this together!!! There is no one key, for there are many, many doors and many barricades. We must support each others endeavors and ideas, for the end result and what is important, is the preservation and protection of our beautiful American horses and burros! Here Here! Well said and the video was very well done also. I sent it to Oprah’s website directly too. Perhaps I will also send it to many other celebrities as well as Senators, newspapers, local TV etc. This word needs to get “out there” and one great way will be through this video. Let’s use it to the max. Thats a FANTASTIC idea, Marge, about sending letters to Ralph Lauren! I think it should be done. Give me an address, and I’ll get on to it myself, too! And just my own opinion….I THINK OBAMA KNOWS EXACTLY WHAT IS BEING DONE TO OUR LANDS AND OUR WILD HORSES AND BURROS. OBAMA, THE BLM AND THE DOI KNOW EXACTLY WHAT THEY ARE DOING, AND THATS WHY OBAMA ISN’T TALKING! Wild Horse Freedom Federation, Inc. is a Texas registered non-profit corporation, a Federally registered 501(c)(3) non-profit corporation. The TWEET is on US! Enter your email address to subscribe to SFTHH and receive notifications of new posts by email. Food Network's Pioneer Woman Show Smells Like...??? BLM data shows cattle historically outnumber wild horses on federal lands. That data is now public, and could reshape the entire wild horse debate. The Good, the Bad and the Ugly: Wild Horses and Burros and the Bureau of Land Management The Sale Authority Change, The Adoption Incentive and Private […] The post The Good, the Bad and the Ugly: Wild Horses and the Bureau of Land Management appeared first on Wild Hoofbeats.